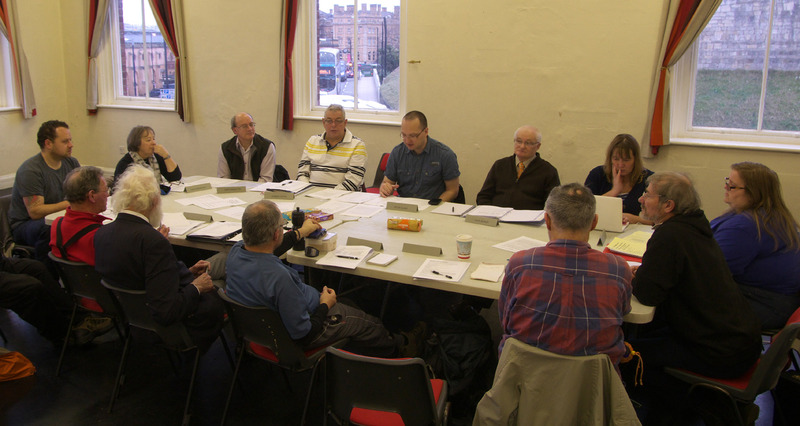 York Rally 2015 AGM report and update! It’s been a remarkable year! Thanks were expressed to all of our volunteers and ride leaders, to the Friends of York Rally supporters club members and to the exhibitors, traders, suppliers, council officials, performers, inventors, club representatives and everyone else who worked with us to put on the 2015 event. There has been lots of positive feedback. The Rally is in good shape financially, having made a profit in 2015. We resolved to continue to run a very tight ship for at least the next two years until we have built up a financial cushion sufficient to give us peace of mind against, for example, a last-minute event cancellation. The committee resolved to start the process of changing the York Rally to a CIO (Charitable Incorporated Organisation) – in other words, a charity. We will be taking the helpful advice from the York CVS to help us through this process. This will aid in fundraising, and will also limit personal liability of committee members. We are delighted that Jude Ainsworth has agreed to take on the vital role of Volunteer Co-ordinator. This is a key role in helping everything run smoothly at the event. 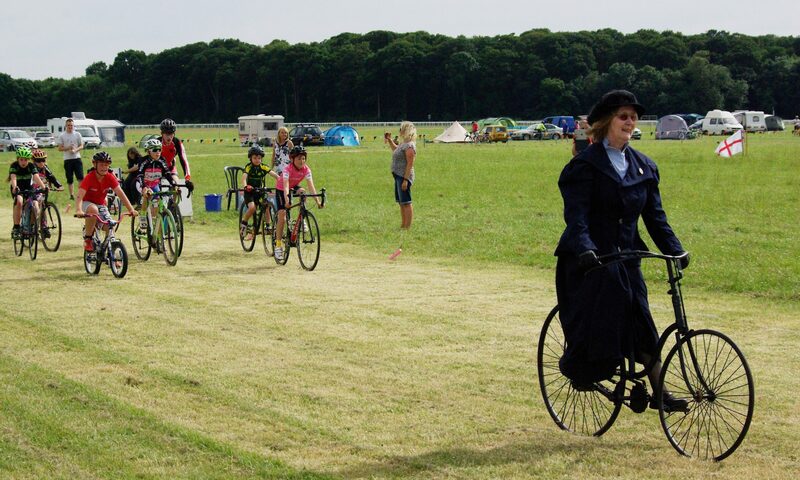 We are delighted to also welcome Dylan Thomas (of York’s Poetry in Motion Cycles) to the organising committee. We have an email from the council at last (after many months of negotiation) confirming that we can use the central area which was fenced off last year for our grasstrack racing. This will make a huge difference, meaning the site layout will make so much more sense! The first few campsite bookings are in, taking advantage of super-earlybird prices until 31st Dec 2015! A system for bulk-emailing newsletters will be in action shortly, so reminders to last year’s campers, updates for Friends and to those who have signed up by entering their email address on the website will be going out soon! If you are not yet signed up, you can do so on the website front page. We are already starting to book marquees, showers etc. where suppliers require plenty of notice. It was noted that while our 2016 dates (18-19th June) clash with the Eroica Brittania event, they avoid a clash with the 2016 British Cycling Road Race Championships which take place in Stockton-on-Tees from the 23rd to 26th June. All the more reason for cyclists and spectators to come to the North East for a run of great events. We also hope that many racers will want to join us on the grasstrack for a warm-up! Our next meeting will be held at 10 AM on Saturday 30th January 2016, and as ever all are welcome, especially newcomers. We are trying a new venue: Cycle Heaven in Hospital Field’s Road, York have kindly offered to host us free of charge in the meeting room next to the cafe in their huge new shop. This venue is a little way from the station, so we will be arranging lifts for anyone arriving on foot – please just contact us on info@yorkrally.org. Next PostNext 1965 York Rally – anyone remember the Bootie bike? 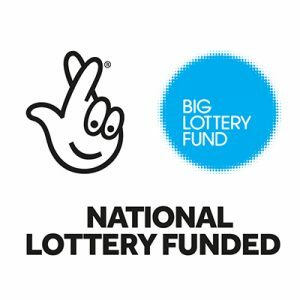 Many thanks to the Big Lottery Fund for supporting the York Rally! And if you haven't already, please book your place! It's cheaper than on the day. Or if you can't ride but coudl help, please just let organiser Pete Dunn know. He's on 07740 171 252 for any Sportive questions. As the day approaches we've been getting out and checking the signs. We have over 100 of our distinctive arrows to signpost the 140 & 100k routes, and as I write this we're creating another 50-odd for the Retro, which is new this year. So book your entry with confidence - all routes, and the essential food stops - will be very clearly marked by our all-volunteer team! We always try to ensure there is a good selection of caterers at the York Rally. Typically we have our highly dependable burger (and chips, drinks & more) van, ice cream vendors, coffee vendors, and usually around three or more other outlets. Plus of course the great Brew York brewyork.co.uk/ bar! But in some recent years we've struggled to book good vegetarian and vegan options - they're much in demand on what is always an event-heavy summer weekend. Just one month to go until the York Rally Sportive & Retro 2019 on Sunday 28th April! This will be the fifth fundraising ride organised by our all-volunteer team lead by experienced organiser Pete Dunn. As last year, there'll be great scenery, plentiful good food, good company of fellow riders and all in all a classic day of cycling on the "Dunnie", whether you choose the 140k or 100k route. New for this year is the 80 km "Retro Classic" for classic cycle enthusiasts. A gentler ride, it still ends up at the fabulous main food stop at Marton, where as ever there will be a tremendous spread of refreshments, including superlative cake. Our friendly all-volunteer team look forward to seeing many of you there. Book your place ASAP - and challenge your friends to join you! With a full 50 tables, a great range of sellers and an eager crowd of buyers the cycle jumble at the York Rally (known traditionally as the Saddlebag Sale) has for decades been a hugely popular part of the event. Book your 2019 table now! For the York Rally 2019 it takes place on Sunday 23rd June and is open from 10AM for sellers to set-up, and at 11AM for buyers. Entry for buyers is £1, and tables are £12. There are now under 100 days to go until the next York Rally, according to the countdown timer on the Rally website! Also coming up fast are our Sportive and Retro fundraising rides on the 28th April - enter now for a great day's riding!